With the hottest part of summer right around the corner, people are getting creative with staying cool. There are a number of common things that we do to stay cool, including wearing wet clothes around our necks, wetting our hair, and relaxing in the pool. Luckily, for staying cool at night, we have cooling pillows. Cooling pillows are pillows that are made with specific material that is designed to keep us cool while we sleep, and not trap extra heat. Cooling pillows are a summer staple for many people, as they can make a huge difference in how comfortable we are at night and in the quality of our sleep. What Is a Cooling Pillow? Cooling pillows are made to keep us cool (this can be figured out from their name, of course) – but what exactly are they and what makes them different from regular pillows? They are usually made out of gel, memory foam, and fiber, or a careful mixture of any of these materials. The materials used to make the cooling pillow are used due to their cooling properties and their ability to release the heat that our heads create and that normal pillows would hold onto. Regular gel and memory foam pillows are known to be less heat conducting than stuffed pillows, but they are still no match for cooling pillows. What makes cooling pillows so unique? Perhaps it’s the type of gel and foam that is used within the pillows. Like everything else, there are different types of gel and memory foam, and each pillow brand uses a different type. Cooling pillows can be divided into two categories – stuffed and solid. Stuffed meaning that the pillow is stuffed with small scraps of the cooling material, and solid meaning that the pillow is made of one solid piece of material such as a large piece of memory foam. Typically, stuffed cooling pillows are softer than solid cooling pillows. Features to Consider When Buying a Cooling Pillow It can be hard to decide which cooling pillow to buy- especially when there are so many different cooling pillows on the market. Store shelves are lined with them, online shelves are filled with them, and there are too many to choose from. So to help you decide which is best for you, here are a few things to consider when buying a new cooling pillow. 1. Material The material that your cooling pillow is made from is an important thing to consider when shopping, as it sets the stage for the comfort level of your pillow. 2. Outer Fabric Not only do cooling pillows contain inner material, but they’re also covered in soft material to contain their insides. 3. Sleep Habits Your personal sleeping habits are a good thing to think about, as well (although this factor is often overlooked). Cooling pillows come in different thicknesses, and the thickness of your pillow combined with your sleeping habits and positions can impact your comfort level to a great extent. People, who sleep on their sides, generally need a thicker pillow, while back and stomach sleepers, can usually get away with a thinner cooling pillow. In general, people sleep better when their spines are aligned, and depending on the position in which you sleep in, this could mean a thick or thin pillow. 4. Durability and Maintenance Like other bedding such as blankets, pillows can and will wear out over time. The key to buying a cooling pillow is to buy one that is as durable as possible, meaning that it will last you a long time. You should also consider the maintenance needed for the cooling pillow of your choice. Some pillows do better being washed by hand, while others can handle being thrown in the washing machine- others, though, might only be able to handle a spot wash here and there. Each cooling pillow comes with a set of instructions to follow when it comes to washing. This ensures that if the instructions are followed correctly, the pillow will be good to use for years. 5. Testing It’s a good idea to test your cooling pillow out before you commit, if it’s at all possible. Some pillow retailers offer tests in store, so that you can choose a pillow and use it to relax with for a few minutes while you get a sense of how it feels and how it reacts to your head’s weight. If during a 10 minute test, your head slumps or rolls off the pillow, consider looking for a different pillow. For stores that don’t allow tests, you need to purchase the pillow and then take it home to test it. 6. Replacement When buying a cooling pillow, you probably aren’t thinking about returning it or replacing it- but maybe you should be. Before buying the pillow, you should learn to recognize when you need to get a new cooling pillow and when the pillow you’re about to buy might start to need extra care. If your pillow starts to feel lumpy, stops feeling supportive, or stops keeping you cool, it might very well be time to invest in a new one. This being said, don’t be afraid to try a different kind of pillow or a different shaped cooling pillow, as some of the best surprises are the ones that come from being curious. 7. Price The price of a pillow can be the deal breaker when it comes to purchasing and final decisions. Cooling pillows, in general, are more expensive than regular pillows. However, they still fall within a price range of low to high. It’s easy to think that the most expensive pillows are the best, but this isn’t always the case- especially when you take into consideration your unique cooling pillow needs. As a rule of thumb, try to find pillows that fall within the middle of the price spectrum. This way, you aren’t left feeling cheap, and you aren’t left without emergency cash, either. 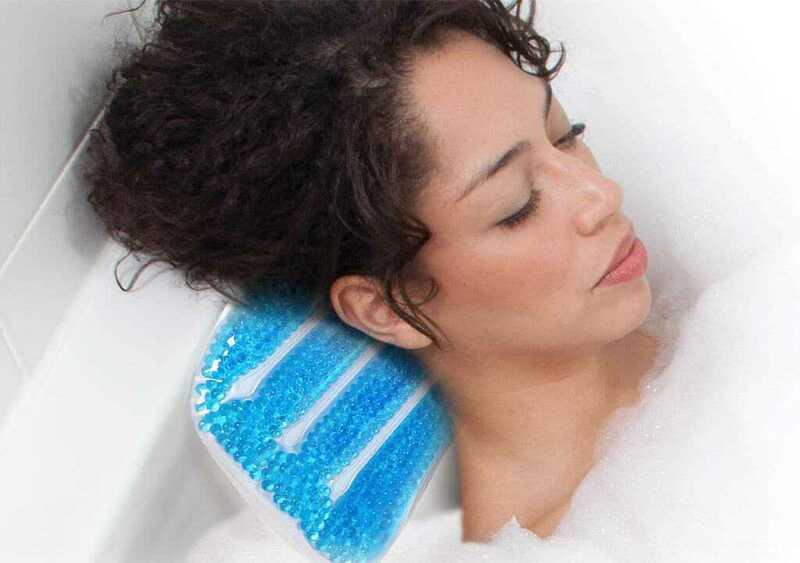 Best Cooling Pillows With the number of cooling pillows on the market, there are bound to be a few gems and a few duds. The trick is to find the pillow that works for you. This, though, is easier said than done and can be intimidating to do. So to help, here are a few of the best cooling pillows around.